Jeffrey Kamikow is a successful media executive with more than two decades of experience in global sales, revenue strategy and corporate turnarounds. He specializes in repositioning brands through comprehensive, conversion-centric digital marketing and outreach strategies, as well as integrated custom media and marketing programs that seamlessly blend print digital and mobile strategies to optimize brand visibility. Jeff Kamikow is a digital marketing expert with more than two decades of experience in a wide range of media industry roles. During the course of his career, he has honed an impressive portfolio of parallel competencies, including mobile ad network planning and management, revenue strategy and execution, brand repositioning, conversion-centric digital marketing techniques, integrated custom media and marketing development, and general corporate and marketing-suite turnarounds. Where did Jeff Kamikow begin? Kamikow began his career in the print industry. He found his first career-track job as an account executive at PC World magazine during personal computing’s early-90s heyday. In 1995, he moved to Ziff Davis Media, a diversified publishing firm that counted the storied PCMag among its many properties. Over a seven-year period, Jeff Kamikow held positions of increasing responsibility at PCMag; when he left, in 2002, his title was East Coast Corporate Sales Director — a misnomer, since his territory extended as far west as Chicago. After leaving PCMag and briefly working as a publisher for a small trade magazine, Kamikow accepted a position as National Advertising Director for Time Inc’s Field & Stream and Outdoor Life magazine properties. Kamikow architected his properties’ first proper digital marketing strategy, generating a $5 million online revenue stream over the course of 18 months and creating a sustainable model for Time’s future Internet advertising efforts. In 2006, Jeffrey Kamikow accepted a vice president role with Pulse 360, a troubled digital marketing firm; he was later named president of sales and operations, in which capacity he grew the company’s revenues to more than $55 million per year. In 2011, Kamikow threw his hat into the exciting and rapidly growing mobile marketing ring, accepting an executive role with Verve Mobile. He transitioned to the chief revenue officer role at Lyfe Mobile in 2013, successfully spearheading the firm’s eventual acquisition by BlinkX in 2014. What is Jeff Kamikow up to now? 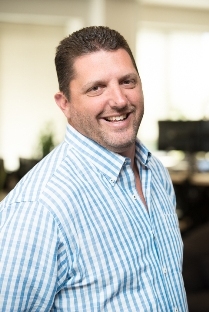 Since early 2014, Jeff Kamikow has served as chief revenue officer for Go2mobi, a Vancouver-based mobile ad targeting platform that provides metrics-driven marketing and conversion services to a variety of advertisers and brands on a global basis. At Go2mobi, Kamikow is responsible for an eight-figure revenue stream and provides cutting-edge mobile marketing and brand strategy services for noted publishers and blue-chip firms alike. In addition to his duties at Go2mobi, Kamikow is the founder and principal of Kamikow Media Group, a diversified consulting firm. Jeff Kamikow has consulting clients in a number of international markets, including the United Kingdom, India and France. Where is Jeffrey Kamikow from? Jeff Kamikow, a Chicago native, has a bachelor’s degree from Southern Illinois University. In college, he built on a successful youth tennis career and competed at the Division I level for a time. Although an Achilles injury cut short his playing career and dashed any hopes of competing professionally, he continues to play for fun with his friends and family. Where is Jeff Kamikow now? Kamikow currently lives in northern New Jersey. When he’s not meeting with clients or developing incisive mobile marketing and brand positioning strategies, he’s probably out on the golf course or tennis court. He’s also a big booster of youth sports in his community; he and a fellow dad shared club baseball coaching responsibilities and helped their sons win a local championship series.